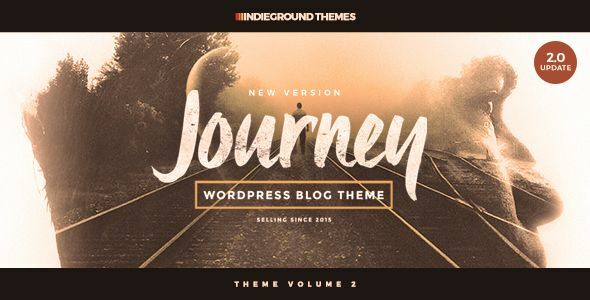 If you are bloggers, travelers, photographers, illustrators, food lovers or simply you have something important to tell, Journey Theme can be what you are looking for. Tell your story to the World with this unique blog theme for Worpress. Thanks to a clear and simple design enriched with elegant details Journey will make your publication one-of-a-kind! Thank you for your attention. Enjoy!